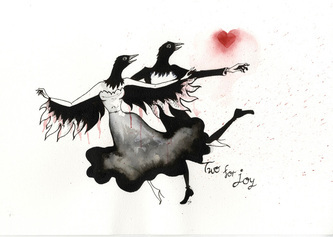 I am very happy to announce that all originals have been sold! 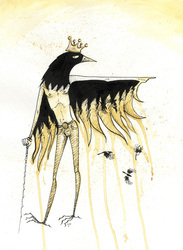 Please contact me if you are interested in purchasing some limited edition prints. 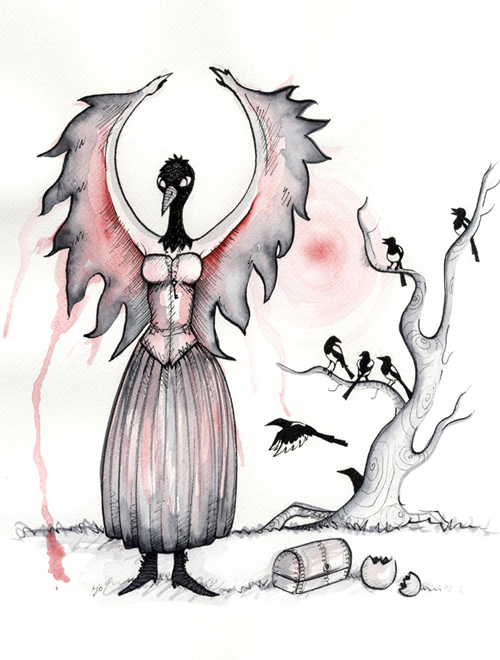 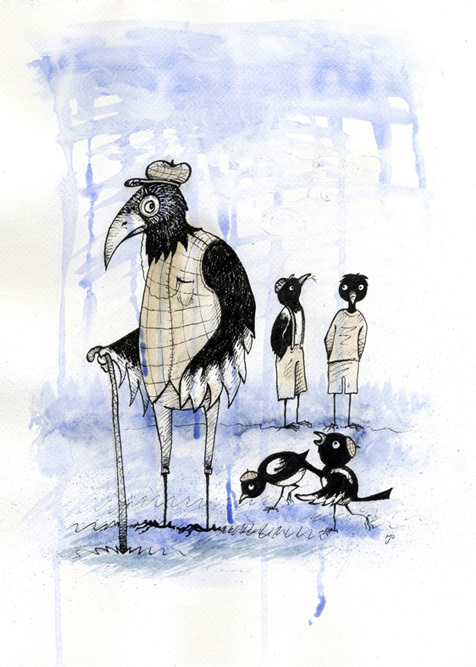 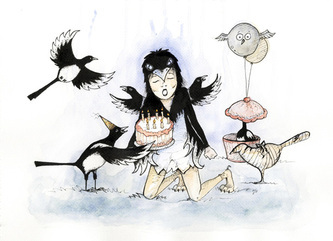 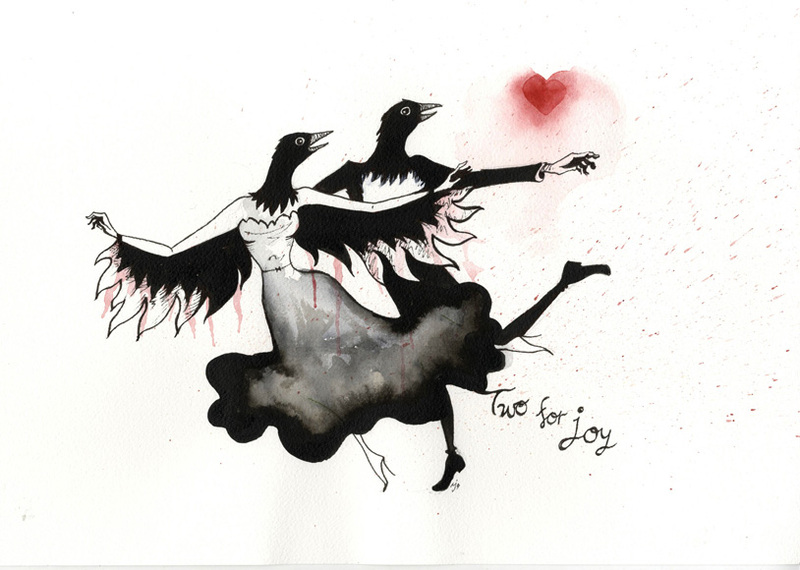 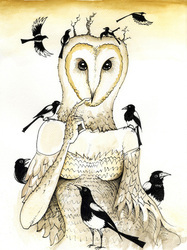 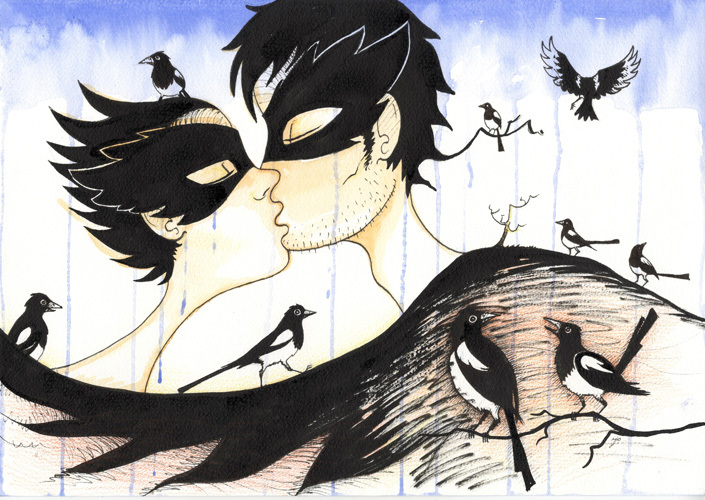 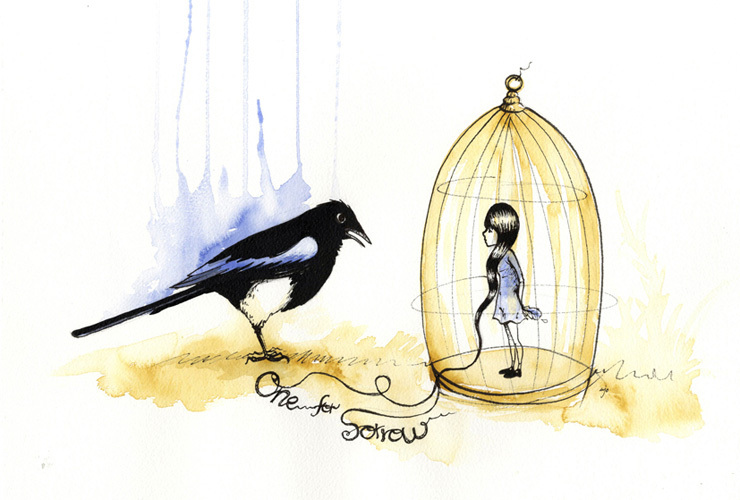 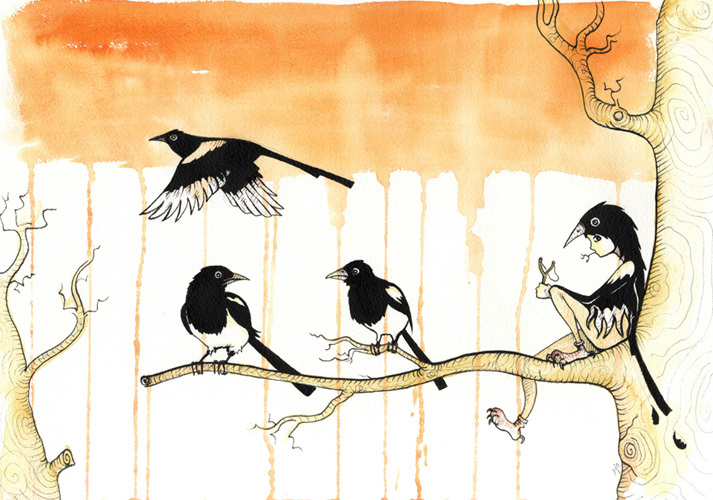 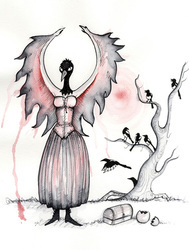 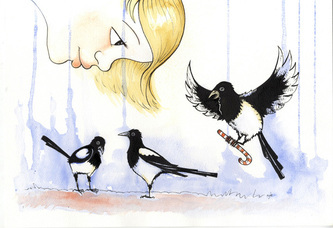 You can also order The Magpie Rhyme greeting cards from my online store.